21" Tall. 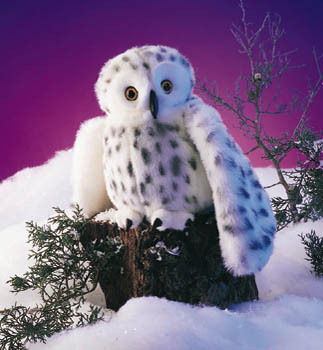 The snowy owl's camouflage of white feathers with black spots hides it perfectly in its northern habitats. This plush puppet sits ready to swoop down on an unsuspecting lemming or turn his head for an unobstructed view.